This special Halloween bag is full of color, fun, and energy. 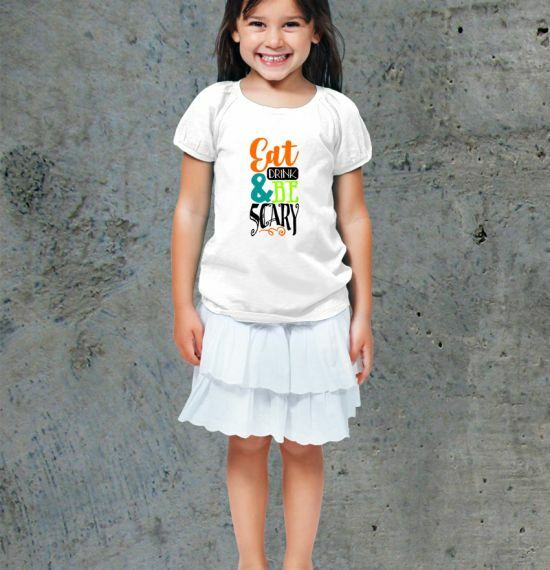 The Eat Drink Scary Tote is a great Halloween themed piece that plays on another holiday’s cheer. 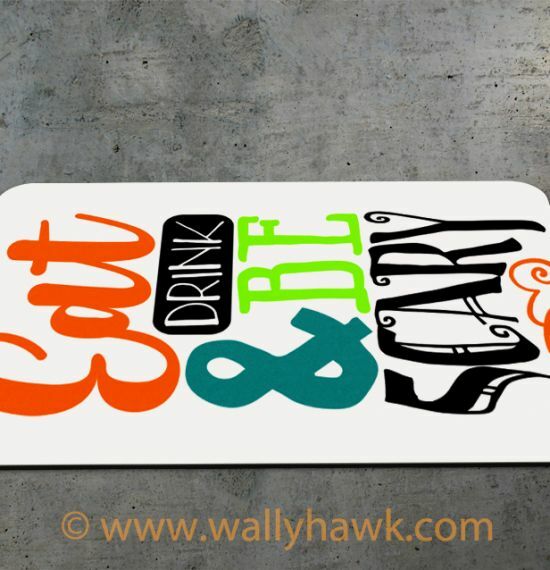 The design is colorful with several fonts that enhance the design rather than complicate it. 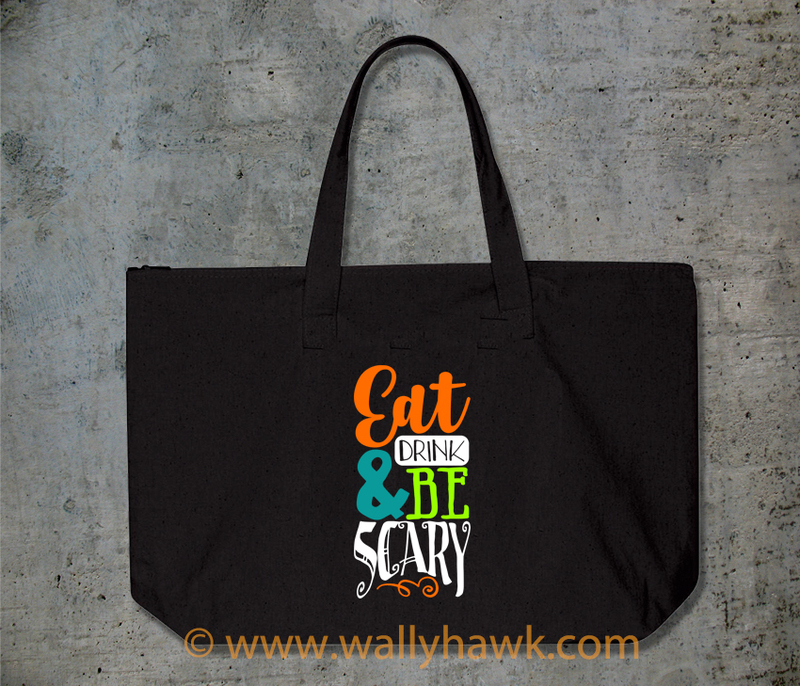 Get yourself ready for Halloween on October 31st with this unique Halloween tote bag. 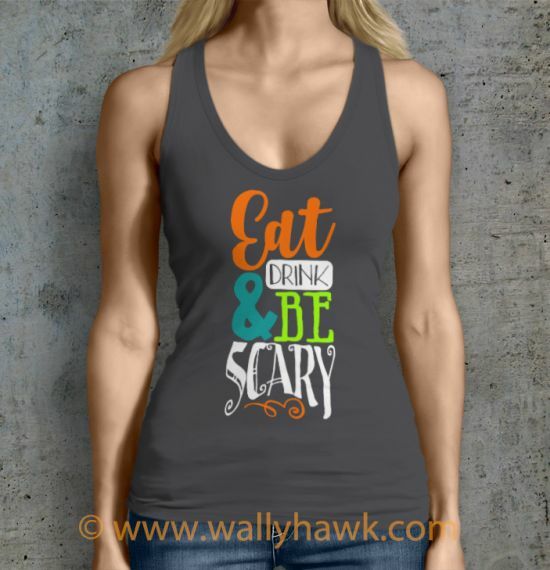 Eat Drink Scary accessories are available exclusively from WallyHawk! 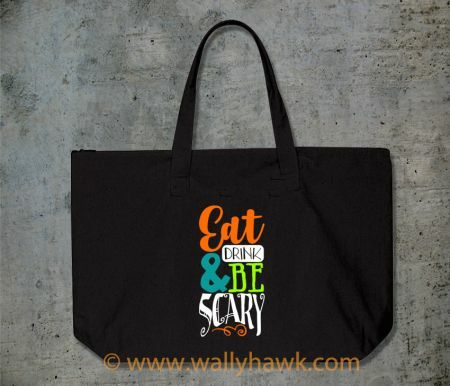 The Eat Drink Scary Tote is 10oz, 100% cotton canvas. There is a zip top to protect your goods. The bottom measures at 22” x 15” x 5”. The design is done in the highest quality process to ensure a long and vibrant life.